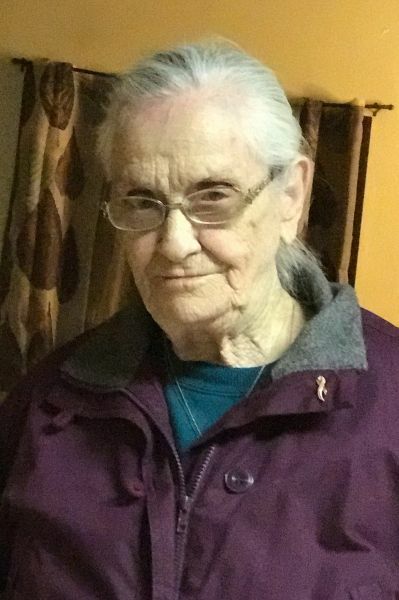 Caribou-Maxine Ruth Skidgel, 86 wife of the late Thomas Skidgel died June 4, 2018 at her Caribou residence. She was born in Woodland on June 11, 1931 the daughter of the late Fed and Laura (Landeen) Skidgel. Mrs. Skidgel was employed by the Birds Eye Division of General Foods, McCain’s, as well as the Caribou Motor Inn. She attended the First Baptist Church of Woodland. Maxine was an avid bingo player and will be remembered by many as the Boston Red Sox number one fan. She was survived by three daughters, Paula and husband Michael Graham of Salem, N.H., Amanda Skidgel and significant other Eddie McNeal and Trudi and husband Dave LaPointe all of Caribou, one sister Jean McLaughlin of Westerly, RI. Five grandchildren, Stacey and Megaan Turner, Dione Skidgel, Tyler and Kyle Burch, two great-grandchildren, Calee Gaudette and Lincoln Lajoie. Many nieces and nephews. Mrs. Skidgel was predeceased by her husband Thomas in 2006, brothers Warren “Jimmy” and Maynard Skidgel as well as sisters Leona Tarbox, Leola Helstrom, Phyllis Page and June Green. Friends may call at the Mockler Funeral Home, 24 Reservoir Street, Caribou, Friday, June 8, 2018 from 11 a.m. until the time of services. Funeral services will be held at 1 p.m. from the chapel of the funeral home with Pastors Carroll and Brenda Farley officiating. Interment will be at the Woodland Cemetery.